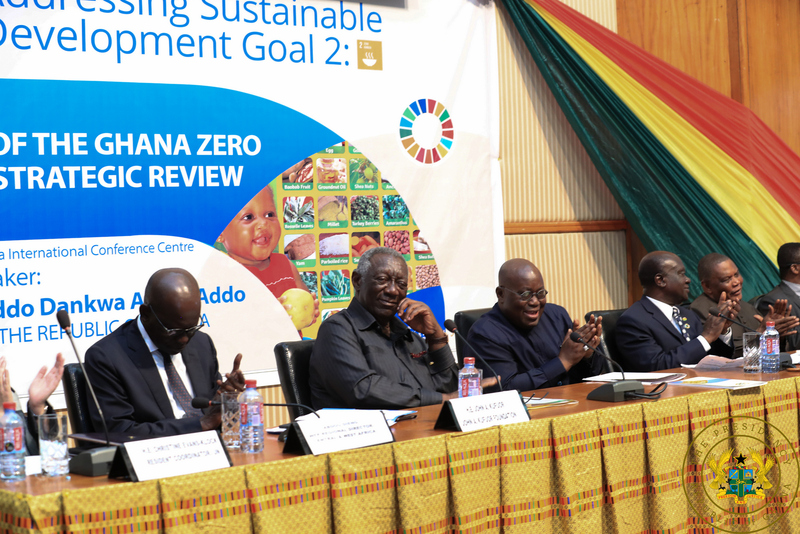 President Nana Addo Dankwa Akufo-Addo, on Tuesday, launched the Ghana Zero Hunger Strategic Review Report. The report aims at achieving the Sustainable Development Goal No. 2 which will help the country end hunger, food insecurity, and all forms of malnutrition by 2030. Speaking at the event, organised by the John A. Kufuor Foundation and the World Food Programme, President Akufo-Addo noted that Ghana had performed quite well in reducing hunger. “Indeed, we were the first country on the African continent to attain the Millennium Development Goal No. 1 of halving poverty and hunger, for which the country received an award ‘for reducing the level of its malnourished population from 7 million in the early 1990s to less than 1 million today’”, he said. 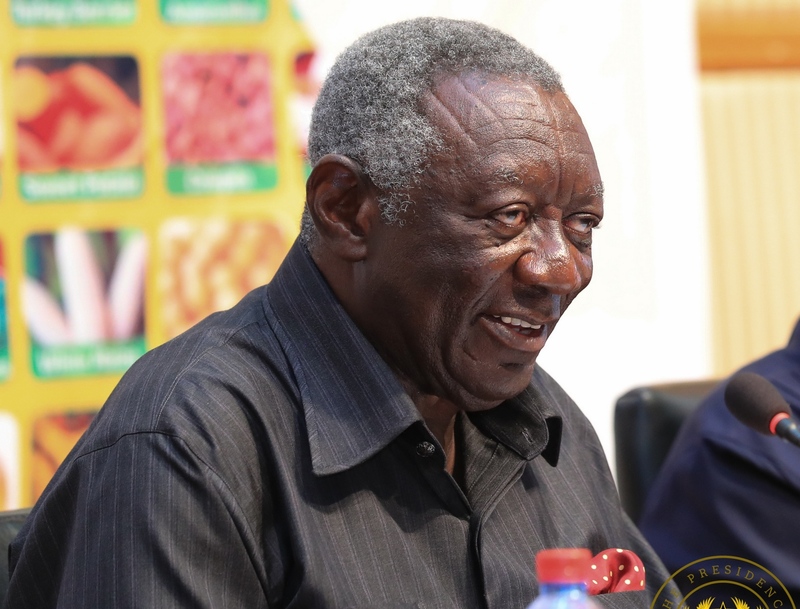 The president paid tribute to former president Kufuor, who received the World Food Prize for cutting hunger in half during his tenure as President in 2011. President Akufo-Addo noted that much work needs to be done to end hunger, obesity and malnutrition in Ghana. These programmes, the President stressed, will facilitate rural development, and help achieve SDG 2 by 2030. “Government’s vision is to modernise agriculture, improve production efficiency, achieve food security, and profitability for our farmers, all aimed at significantly enhancing agricultural productivity,” he said. While ensuring that women play an essential role in achieving SDG 2, the President stated that women-specific responses to facilitate the achievement of SDG 2 have been put in place. These, he said, include reducing cultural and administrative limitations that impede women’s access to productive resources, special access to credit and agricultural equipment. 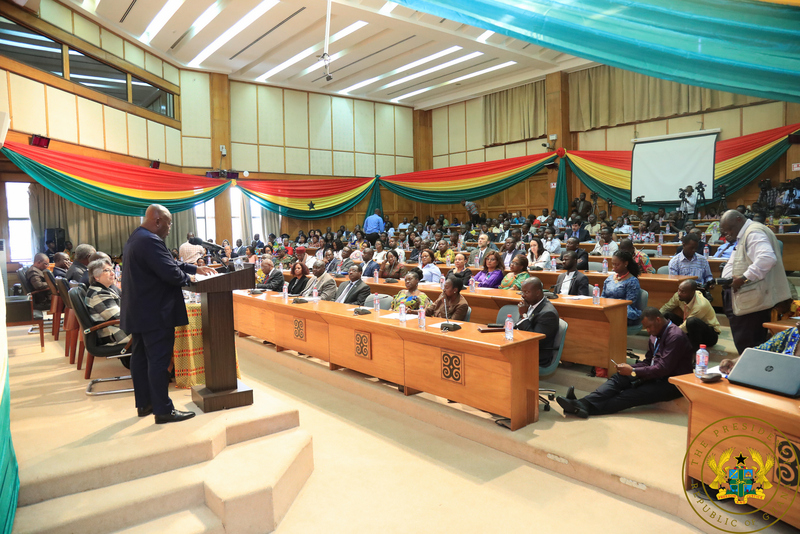 In seeing to the realisation of the Co-ordinated Programme of Economic and Social Development Policies (2017-2024), the President was confident that Ghana would be on the path towards ending hunger and malnutrition.